You are currently browsing the archive for the PS1 category. By “the gut punch,” I’m talking about a plot where there’s a sudden climax that’s supposed to be shocking to the player. In a movie, this might be the revelation that you’ve been working for the villians, or the cliche “you fought the war, but killed a little girl” style scene. 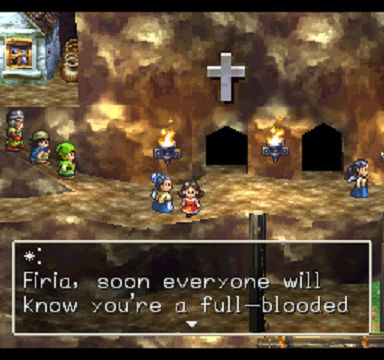 Here, Firia's grandmother reveals that Firia is really a member of the community. It’s quite common to find a game with a leitmotif. You tend to have a tune for villains, a tune for the heroes, etc. Technically, a leitmotif is really a part of a song that represents a mood / character / etc. However, people commonly use it to refer to common tracks or songs. For me, a leitmotif using a song tends to become annoying as the game goes on. Let me try to explain with a game that doesn’t annoy, and one that does. One danger in a review is becoming academic about a topic. For simplicity, I’ll make an example of a book. George Elliot’s Daniel Deronda is largely considered to be a flawed book by the author, scholars, and readers. The main flaws are the length, a difficult topic handled poorly, and a subplot that barely intersects with the main plot. However, the ways that the book are flawed and the difficult topic are exactly the sorts of things that academics find interesting. While I would say the book is interesting, I definitely would not say that it should be someone’s first Elliot novel, and I would not read the book again for pleasure. Gate hacking uses items taken from enemies to unlock forbidden areas in .hack//. In almost any game system, series, or genre, there’s a game that people say “doesn’t count.” It’s either a major outlier from the rest of the set, or it’s remarkably better or worse than other examples. It may be a game that changes so much from the previous examples that it’s almost a new game. 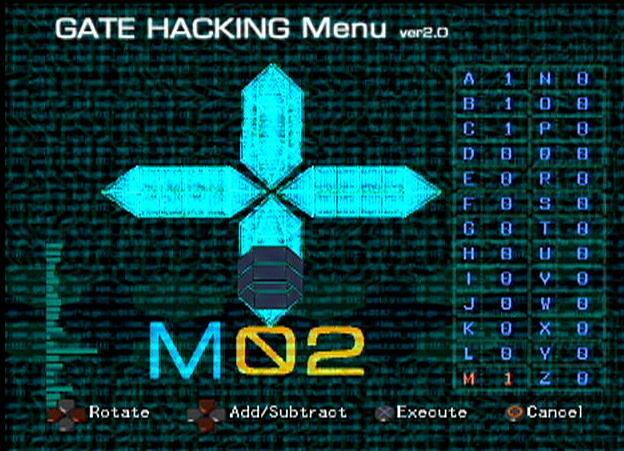 Of course, hyperbola is really easy in this kind of discussion, since hatred rarely appears mildly. Some people claim that the NES Dragon Quest games show more of a “true” connection to the series, despite the dated nature of the games. Some people claim that a lack of an explorable map makes Final Fantasy X not a RPG. Now, of course, some of these arguments are simply fannish whining. However, perhaps looking at two contested series might be interesting. While this is a small screenshot of Chrono Trigger, you can see Akira Toriyama's distinctive style in the sprites. 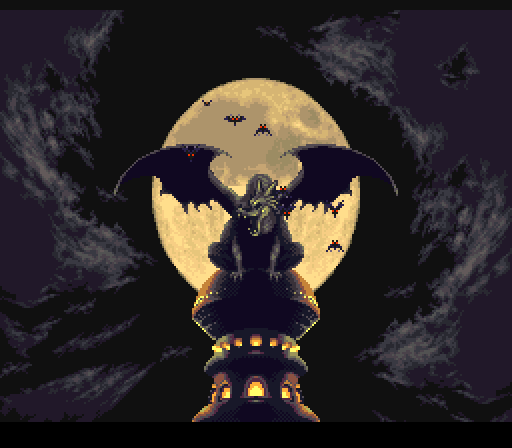 Breath of Fire is a series that, in my mind, hated the earlier games the farther you played the series. In the first game, you’re Ryu the last of clan of Dragons, with a portentous scar who’s trying to avenge his lost family via fighting another clan. 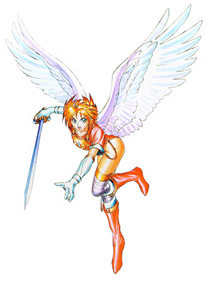 You soon pick up a winged princess, Nina, who’s spunky enough to risk her life trying to fight her enemies. The rest of the game is gathering elemental keys and fighting your way to face down against a goddess. 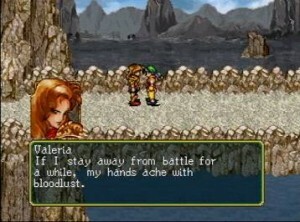 Wild ARMs is fondly remembered as a rpg that came out before Final Fantasy VII on the Playstation. When your competition is Beyond the Beyond, it’s not hard to be amazing. The game used 2D sprites for exploration and 3D battles (which while interesting in the day, are now very dated.) The composer Michiko Naruke is closely linked to the series and has written a wide range of Old West style music for it. If you google Wild ARMs, you’ll easily find people posting the opening animation and the haunting whistling song that plays over it. 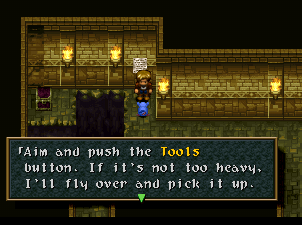 Wild ARMs games have dungeon puzzles that are solved with tools.